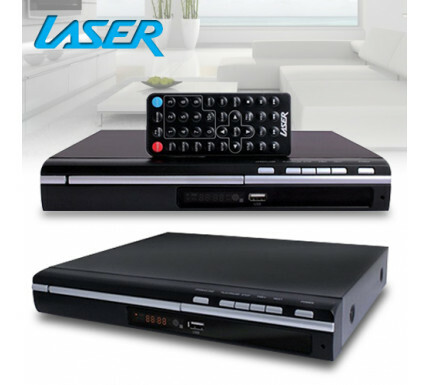 The Laser DVD Player is a full 5.1 channel surround sound DVD player with playback of movies, music or video from CD, DVD or USB. With a multitude output options including HDMI, optical component and of course RCA, the HD0020 DVD player can connect to any TV or Surround Sound system with superb picture quality and high quality audio in immersive Dolby Digital 5.1 channel surround sound. A dedicated 5.1 channel RCA output means that all the encoding is done on board the DVD player so all you need is a 5.1 channel speaker setup (no need for a surround sound amplifier/pro­cessor). Alternately, you can use the HDMI or digital audio output to connect directly with your surround sound setup.